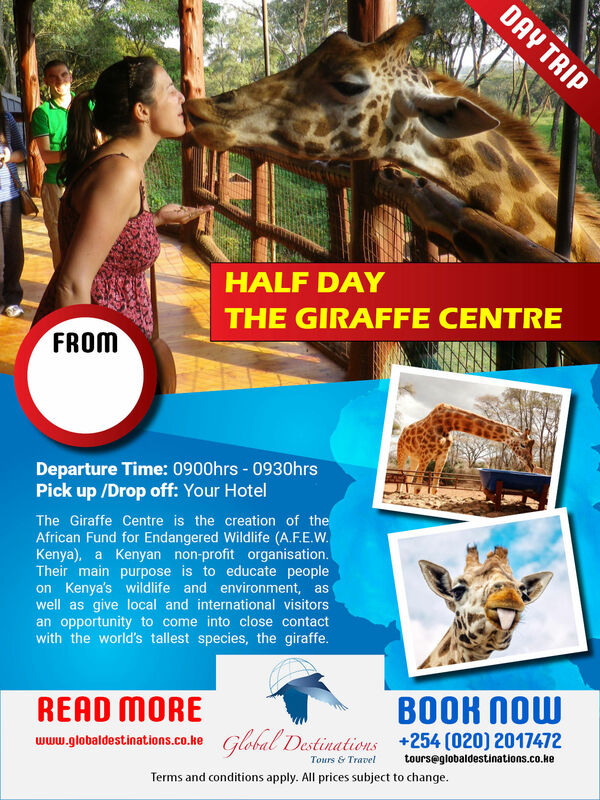 The Giraffe Center is located in Lang'ata, approximately 20 kilometres from the centre of Nairobi, Kenya. It was established in order to protect the endangered giraffe, that is found only in the grasslands of East Africa. The Giraffe Centre in Nairobi is an amazing place to visit. It started as a rehabilitation project to rescue the Rothschild Giraffe. There were only 120 giraffes left in a ranch in Western Kenya when the Giraffe Center was founded. The actual non profit organization is called the African Fund for Endangered Wildlife Kenya (AFEW). The original house of the founders has been converted into a very impressive boutique hotel called the Giraffe Manor.